One book couldn't possibly be enough to cover the topic of nouns. The cats are back with their comical examples to drive home to readers just what a noun is. 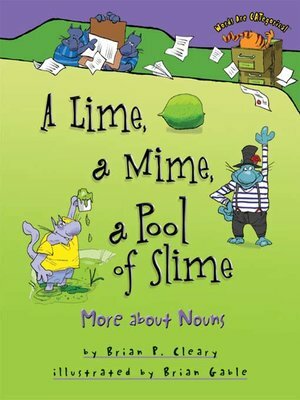 Specific types of nouns--such as abstract nouns and proper nouns--are also introduced in this giggl-a-page expansion on the topic.